I had to go get some makeup now that I’m amongst the living again. 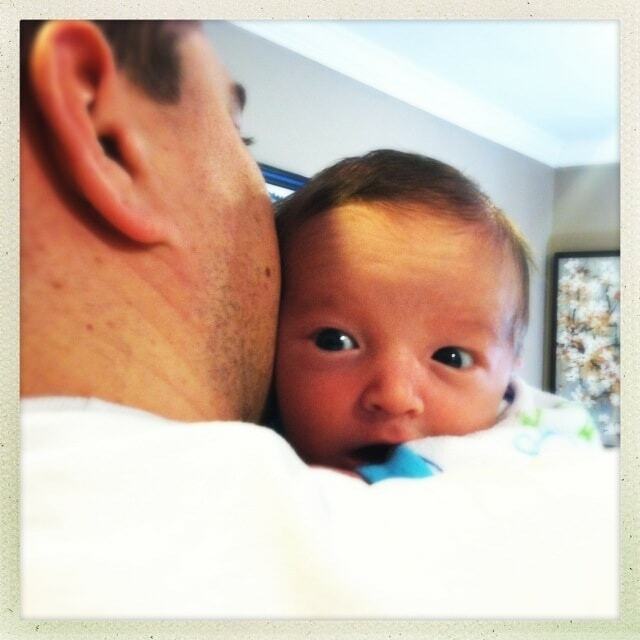 Liam is sick and Caleb is only 2 weeks old which meant that Natalie and I had a little girl’s outing! 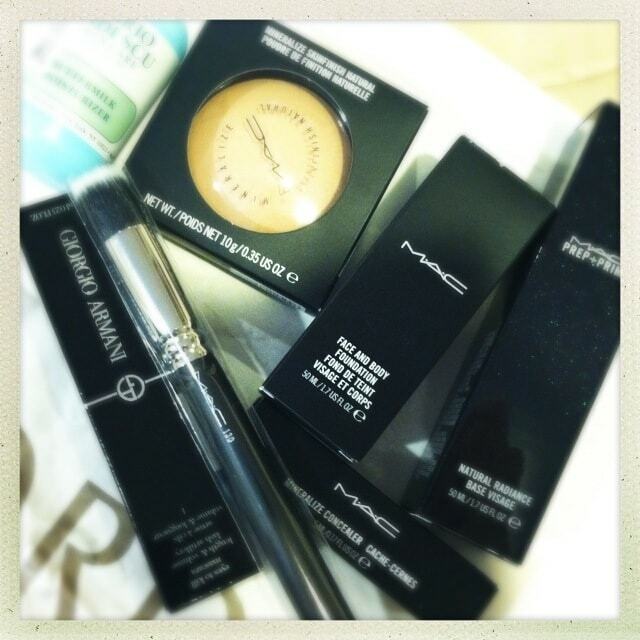 We headed to Nordstrom so I could hit up MAC and Mario Badescu. 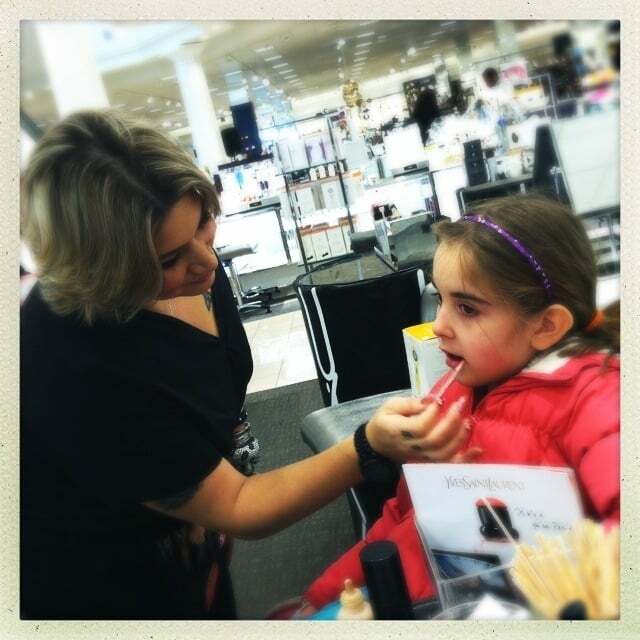 While we were figuring out which colors worked on my skin, Natalie was treated to a little pampering – lip gloss and blush. So fun! She was super shy UNTIL the gloss came out. Then she was the makeup artist’s best friend. I needed… a LOT. Even picked up a new mascara which I am pretty excited about. Will write about that another time. When I came home, I found my little guy hanging out with my big guy. I can’t get enough of that face! Previous Post: « ENTER TO WIN: No Stain Is Sacred! – Win Two (2) 100oz Bottles Of Tide! !